Have you experienced water damage from a flood, broken pipe or other disaster? If you need emergency dry out services in Rancho Santa Margarita California, you've just the local favorite. West Coast Restoration Inc is a locally owned and operated provider of emergency dry out services in Rancho Santa Margarita. Since 1990, we've remediated many Rancho Santa Margarita dry out emergencies for both homeowners and businesses. Our emergency water extraction crew is on call 24/7 should you experience a burst pipe, washing machine leak or water from storm damage in Rancho Santa Margarita. 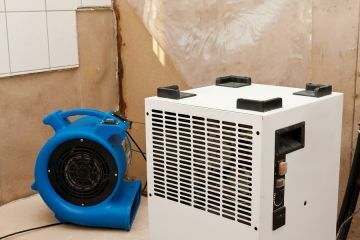 If you have experienced water damage in Rancho Santa Margarita, dry out services from a reputable company are needed and a prompt deployment is essential. When water breaches into the interior of a building, time becomes critical. The longer water and moisture remain your floors and behind your walls, the higher the risk for growth of mold spores, mildew and bacteria, which will increase your restoration cost and danger to occupants. West Coast Restoration Inc understands the importance of a rapid response when there is water damage in Rancho Santa Margarita and dry out crews are standing by! Why Call West Coast Restoration Inc For Rancho Santa Margarita Dry Out Services? From the instant you call West Coast Restoration Inc after you've experienced water damage Rancho Santa Margarita, you will receive prompt, professional and thorough service. Our Rancho Santa Margarita water loss technicians understand the importance of rapid action and are passionate about minimizing damage to properties and health. West Coast Restoration Inc's emergency dry out process provides for quick and complete removal of flood water and moisture from your walls and flooring.